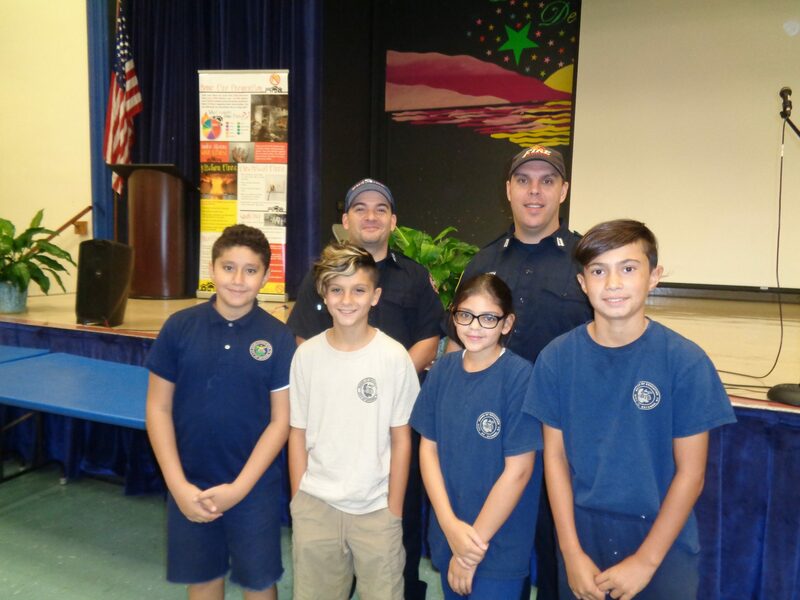 FIRE SAFETY — Henry Harris Community School held its annual Fire Prevention/Safety assembly sponsored by the Bayonne Fire Department. The firefighters stressed the importance of smoke alarms, exit plans, as well as equipment utilized in the event of a fire. With the firefighters are Felobater Morkos, Logan Paduano, Breanna Santopietro, and Austin Bottino.